Sooner or later, life will call for you to store your stuff. Maybe you’re selling your home and need to declutter, or are in the dreaded “between places” mode, where you’re perched in a temporary crash pad until you can put down roots. Whatever the reason, you’ll be glad to know that your options for stashing your belongings are greater than you might have imagined. Here are four types of storage to consider, and the pros, cons, and costs of each. The most obvious option is self-storage—aka the storage unit. It’s a secure, flexible, and generally affordable choice. 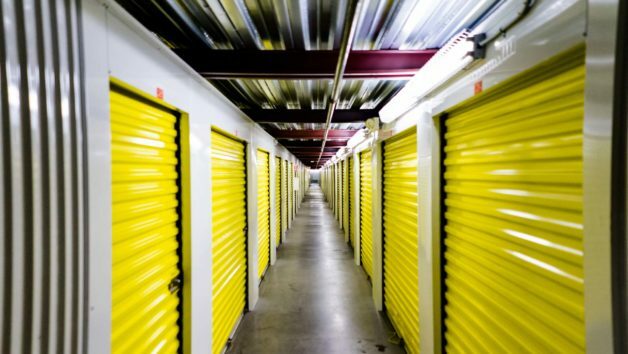 Self-storage is commonly used by clients when they’re packing up while the house is for sale, or if they are in between homes and staying at a hotel or with family, says Matt Casady, marketing manager for STOR-N-LOCK Self Storage in Salt Lake City. Pros: Many self-storage facilities offer 24-hour access, seven days a week, which can be helpful when you’re finishing up your packing in the wee hours of the morning. In addition, says Casady, facilities typically have 24/7 video and alarm monitoring and gate access that only permits current customers to enter. Cons: You have to be able to provide your own transportation to the storage unit. Costs: Self-serve storage unit prices can vary greatly depending on which city you’re in, what features are offered (high-end storage units include a controlled climate or drive-up access), and of course, the size. A family looking to store the entire contents of a four-bedroom house will probably want a unit that’s 10-feet by 20-feet or larger, which typically runs between $150 to $230 a month, says Casady. One site that lets you compare sizes, amenities, and costs is Sparefoot.com. Pros: Pods can be more convenient and less time-consuming than a storage unit, because you use the same container to store items and then move it to a new location (the pod company swings by to hitch it up to a truck). And since the pod is located on your property, you can pack it at your convenience. Cons: Pods tend to be smaller than storage units, and can be seriously unsightly in your yard—a problem if you’re trying to sell your home. Costs: The “original” PODS company has a quote finder on its site; for a 16-foot container, which is billed as storing the contents of three or four rooms, it’s about $175 a month, plus a $65 delivery and pickup charge (each way). The name alone sounds fantastic, doesn’t it? This option is what’s known as “full-service” storage, which means that someone comes to pack and store your items; then will deliver them if, say, you have an unexpected need for your scuba gear or snowboard. Pros: It doesn’t get any easier than this: The company will sweep in, and take a full inventory of items, says Nimrod Sheinberg, vice president of sales for Oz Moving & Storage in the greater New York area. You’ll get a list that includes a description of each item recorded by the number on the label, which means you can easily call to retrieve those golf clubs for a last-minute visit to the links. “New Yorkers are typically busier and don’t have their own vehicles to haul items, so full-service storage providers are particularly appealing,” he says. Some companies will then provide moving services, which streamlines the process and saves both time and hassle. Cons: You won’t have the flexibility to grab things out of your unit on a whim or at odd hours. Costs: Costs vary, since the storage price is directly correlated with local real estate costs. This means that storage in New York is obviously much more expensive than it might be, for example, in Detroit. But according to the full-service storage company Clutter, its “apartment plan,” which covers a 9-foot by 27-foot space, costs $349 a month in Los Angeles. Pros: Renting someone’s extra space can be a very cost-effective solution, and since you’re dealing one-on-one, you can work out details with your host about your particular situation. “We have noticed that most hosts are very flexible in negotiating terms, once they find someone interested in renting their space,” says Fred Shaw, CEO of StoreAtMyHouse. Cons: The cities where this service is available are still relatively limited. You’ll have to be flexible as to when you can retrieve your stuff. Costs: The costs vary by area and are negotiable by host and guest, but Shaw says that he commonly sees spaces listed at around 50% less than the cost of commercial units for a comparable size and location. Heidi Phong Real Estate Team is Greater Sacramento's most innovative real estate team.